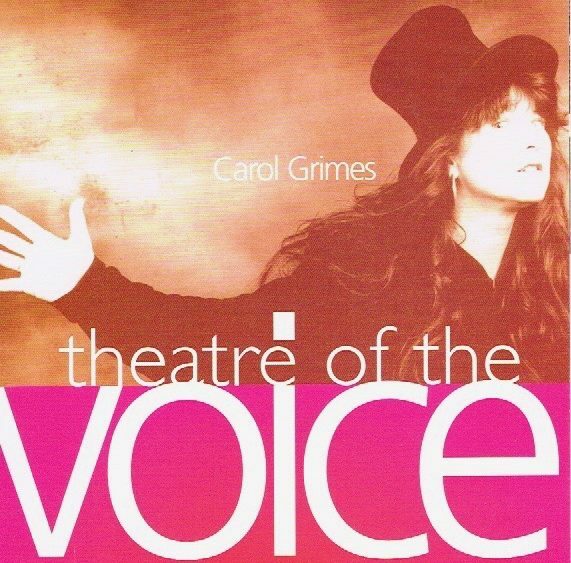 “A musical, political and social history […] a ringside seat in our singer’s imagined, and real, theatrical circus …” This is what we are promised by poet/counsellor Cheryl Moskowitz in her Preface to Carol Grimes’s autobiography, and The Singer’s Tale does indeed deliver all these things, in spades. Grimes’s account begins (Verse 1) in 2000, with a photograph sent to her from New Zealand by her sister, Jennifer. It shows Carol (then four) and baby Jennifer at home in Lewisham in 1948, and – like Proust’s madeleine – it triggers the memories that inform the following 300-odd pages. It also establishes the emotional temperature of the account: “‘Well, that’s kind of her,’ I said to myself, trying to remember what she looked like. It had been a long time of not knowing each other. I had experienced more intimate conversations with complete strangers at bus stops.” Such frank, unflinching honesty characterises all that follows: Grimes’s troubled childhood in Lewisham, Weymouth and Lowestoft is vividly evoked, courtesy of her poet’s eye for the telling period detail, and her description of her relationship with her mother – an awkward affair full of suppressed hostility, impatience and mutual incomprehension – ranks alongside (for its sheer power and perceptiveness) Jeanette Winterson’s in Oranges Are Not the Only Fruit. Her account of her entry into the musical world, via life in 1960s/1970s London (a world of Afghan coats, patchouli oil, acid-dropping and joint-smoking, seedy bedsits and squats, of – in Quintessence’s immortal line – “getting it straight in Notting Hill Gate”), is equally memorable. This is partly because she was a clear-eyed witness to era-defining events (the beginning of the slow and painful transformation of London into the multicultural capital it is today, the rise of rock music via the blues boom, the brief flowering of “alternative” culture epitomised by Oz and IT etc. ), but mainly because she is consistently pungent and unsparing in her views of male attitudes and behaviour. Carol Grimes transfers the reader into a time capsule of post WW2 England. She is stranded in the reality of broken and shattered London, where to say the least, life is challenging. The Singers Tale takes the reader from a time of greyness to a time of great colour , the 1960s’ and beyond. It was during this period of great hedonistic behaviour she came across and played with many of the iconic musicians and their managers who we know so well. A gripping read about who she met and how she struggled with life as a single mum. Chaucer would have been proud and hopefully there is a part 2 coming ? I am a lifelong fan of Carol Grimes’ music so I couldn’t wait to read her story, and what a story it is. It reads like a fast paced novel that could have been written by someone like Kate Atkinson but is all the more poignant for being entirely true. She writes brilliantly, straight from the heart, with a raw, warts and all honesty tinged with irrepressible humour. The book hauntingly evokes past London, especially the Ladbroke Grove area of the 1960s and 70s, a crucial moment in Britain’s social and cultural history. As warm-blooded as her singing. I can’t wait for the next instalment! Super – buy this book ! A wonderful tale, wrapped in music, revealing sharply observed social history in a life lived through the 40s -70s. Written with honesty, warmth and verve, well worth reading and pertinent today. A wonderful read, written with vivid detail, straight from the heart. She has had an extraordinary life being born in London at the end of the 2nd. World War and going on, despite all the odds stacked against her, to become a professional singer working across the globe. Her writing engrosses you and is enlightening about the struggles of a girl growing up in post war Britain going on to become a renowned singer and, just as importantly for her, a mother. You feel almost a part of her personal struggles and joys – the different voices showing her insight, tenacity and humanity. She weaves a wonderful tale, and the book shows her talent as both a writer as well as a singer. An amazing journey! The early albums, musical travels to Memphis and Nashville ~ the firm belief that singing for her supper was the only way forward ~ even with its accompanying pitfalls, safety nets and occasional tragedies. The competing voices in her head, all given free rein here ~ constructing a complex persona ~ sometimes vulnerable, sometimes wayward; always human. 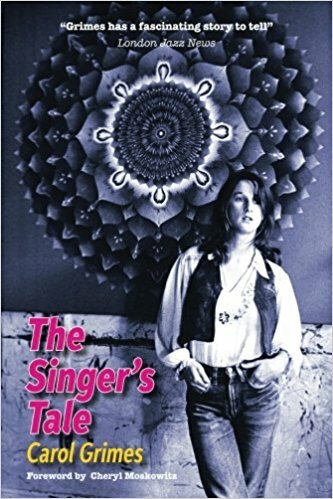 I warmly recommend “The Singer’s Tale” if you want to eavesdrop on the REAL story of women making music in the sixties and seventies ~ the deals, the dodgy managers (“We can market you as a British Janis Joplin…”) ~ the highs, the lows, the hangers-on, the true friends ~ above all the music, the vital spark of humanity. Buy this book. Carol has written a marvelous book, incomparable to any other musician’s biography, both in style and content. It’s a great piece of commentary in which we will all recognise lots because life is very much a shared experience, but none of us will have experienced it in the unique way in which she has. It’s a hugely enjoyable book which I feel grateful to have read. Wonderfully & uniquely written- a must read! So cleverly and vividly written, not only about Carol Grimes’ life & career, but also the story of London from the war years in the 40’s through to the hippy & punk years to the 80’s. Could not put this book down. Absolutely fascinating. An extraordinary Singer’s extraordinary Tale. This is a terrific book. The style is poetic and the phrasing sustained like a singer’s breath. I was completely drawn in and unable to put it down! Carol Grimes has had an extraordinary life and has an amazing tale to tell. I thoroughly recommend it. I love this book. So vivid – she brings everything to life so well. Also so exciting- is she going to make it as a singer or has she missed the boat? Thank goodness, she did make it and she is wonderful. More than one life! A must read. The detail, the grit, the hardship, the survival, the sweet aroma, the living by voice and sound. I couldn’t stand when this experience ended. Read the book for goodness sake! This is an excellent read for any music fan. Carol’s a terrific singer and her story so interesting. Well illustrated too.